Anything worth learning takes time, effort and consistency to master. 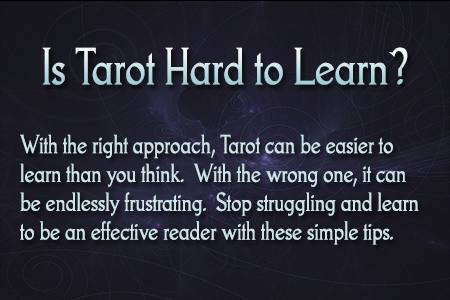 If you approach Tarot with the right perspective, however, it can be easier to learn than you might think. The problem most newbie and hobby readers run into is that they want to learn it by memorizing definitions and from a very “black and white” analytical type perspective. This doesn’t work. 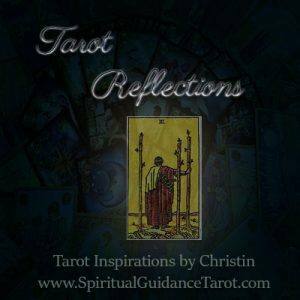 Tarot is very fluid and you need to learn to tap into your intuition and creative thought processes while learning it. When I teach Tarot; I always have students start with a Tarot journal. This is by far, the most effective way to internalize Tarot and make it a part of you, rather than some external thing with complex parts that you are always trying to sort out. In mathematics, there are set answers and methods for solving a problem. In other studies, thought and problem solving is more abstract and individualized. Different approaches lead to the same result. Think of Tarot as more fluid than rigid and you’ll have much better success with it. If you start trying to memorize a bunch of symbols and vague “text book” type definitions of the images, without really looking at those images from your own perspective, you’ll find your readings lack substance and may lead to more questions than they answer. 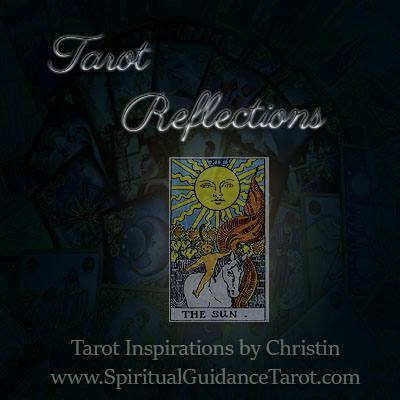 You can look at 3 different Tarot books and there will be 3 different perspectives on the cards meanings – why? Because Tarot, despite having some common themes, is mostly subjective to the user. There is no wrong answer – you are using the cards as a tool for your intuition and higher thought processes. 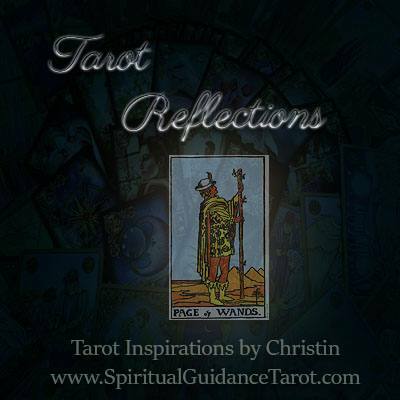 The answers are not on the images in the cards – they are in your mind/intuition. That’s the part that new readers struggle to grasp. If you open up to the idea of Tarot as a means to tap into your connection with the universal mind; it becomes much easier and definitely more meaningful. I think most of us start out learning Tarot with the completely wrong approach. We want to “know what the answers are”, instead of looking for the answers within and using the cards as a guide. We put too much focus onto the cards themselves and not the messages they evoke from within. The best way to learn is by doing. Use the Tarot journaling exercises here. After you have gone through your entire deck once or twice; then start doing readings. It’s really as simple as that. You don’t learn without practice and you have to keep at it. This is one of those things, like learning to play an instrument, where practice is always needed and there is always room for improvement.